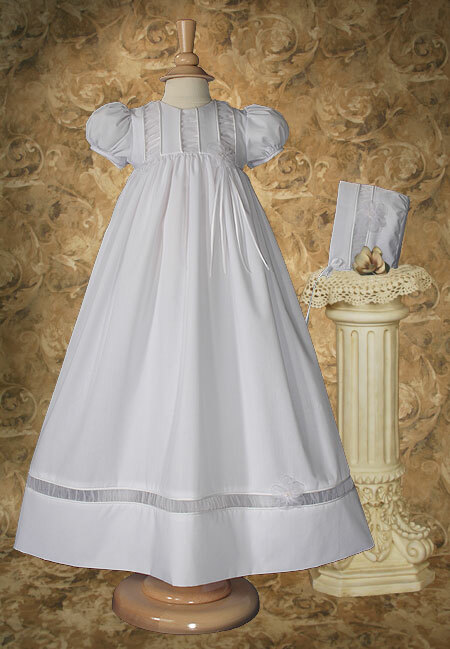 Elegant yet sweet 30" christening gown with organza ruching accents on skirt and bodice. Includes matching bonnet and slip. 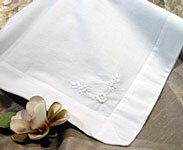 Hand made in the USA using poly cotton. Hand wash. Shipped on elegant padded hanger and zippered vinyl bag. Optional heirloom preservation bag set recommended for long term storage.